Yes, it's Totally Terrific indeed! "True friendship isn't being inseparable, it's being separated & nothing changes"
You may order this or other Ippity (Unity) Stamps directly from the link above! 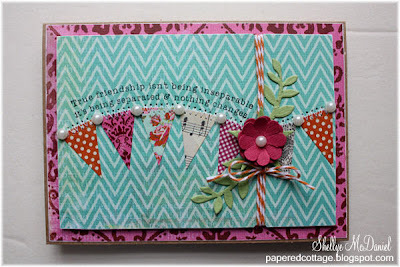 ﻿After stamping the sentiment, I placed the pennants along the natural outline of the image. I probably won't be back for a couple of days...gotta work tomorrow night...so, have a happy weekend! 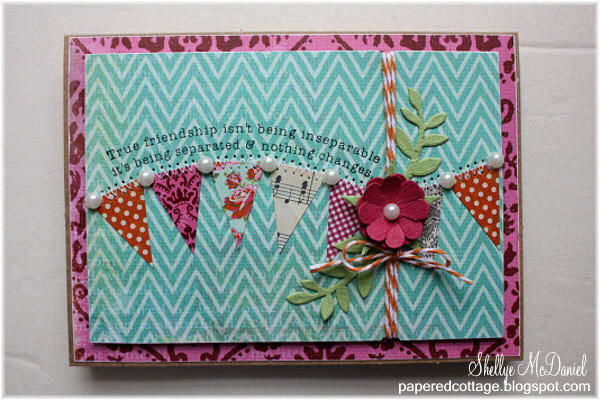 You're rocking this kit, love this card!